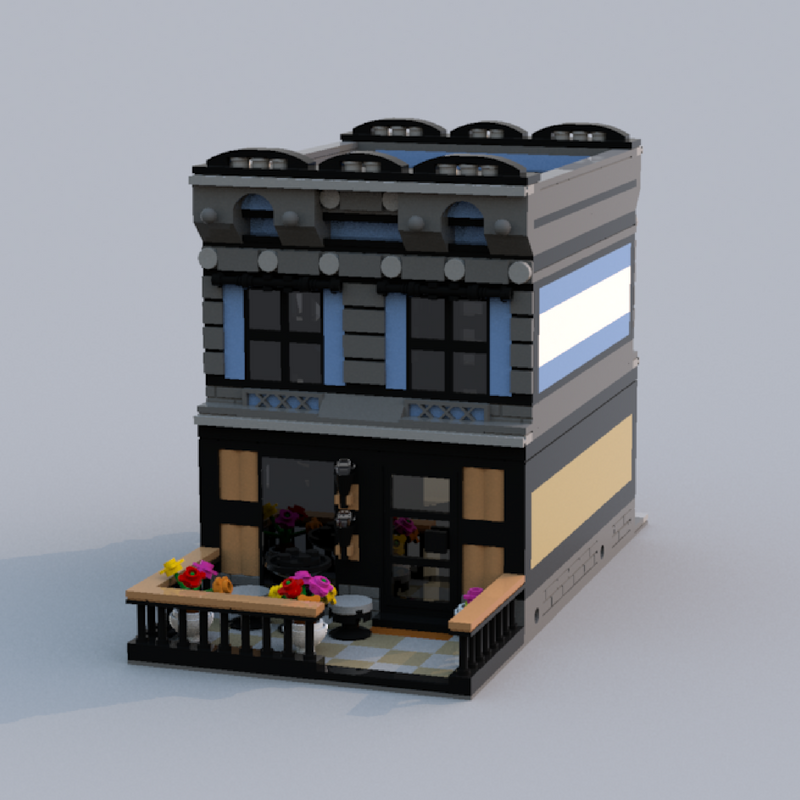 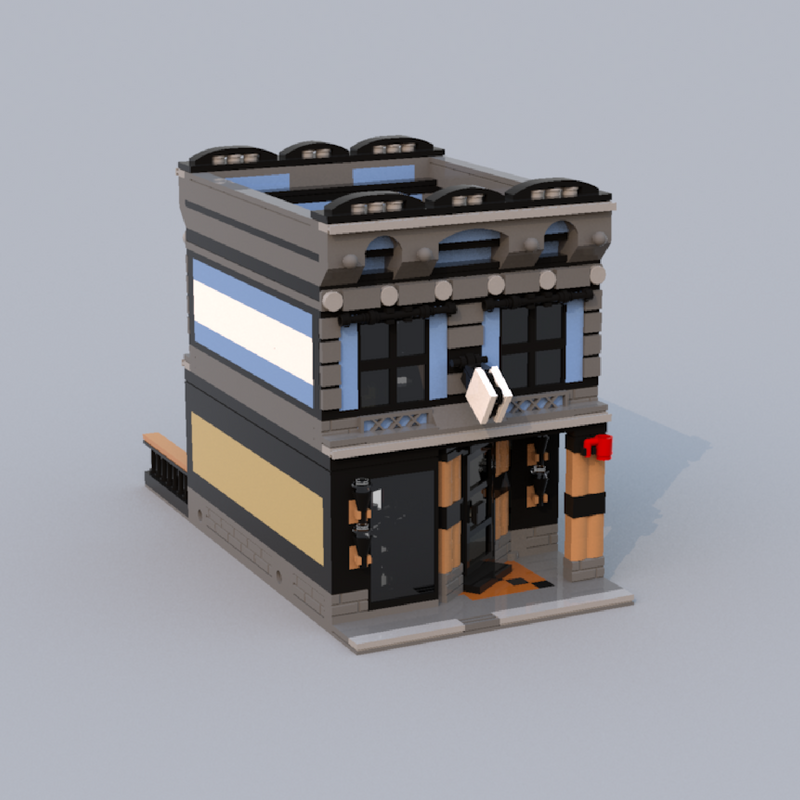 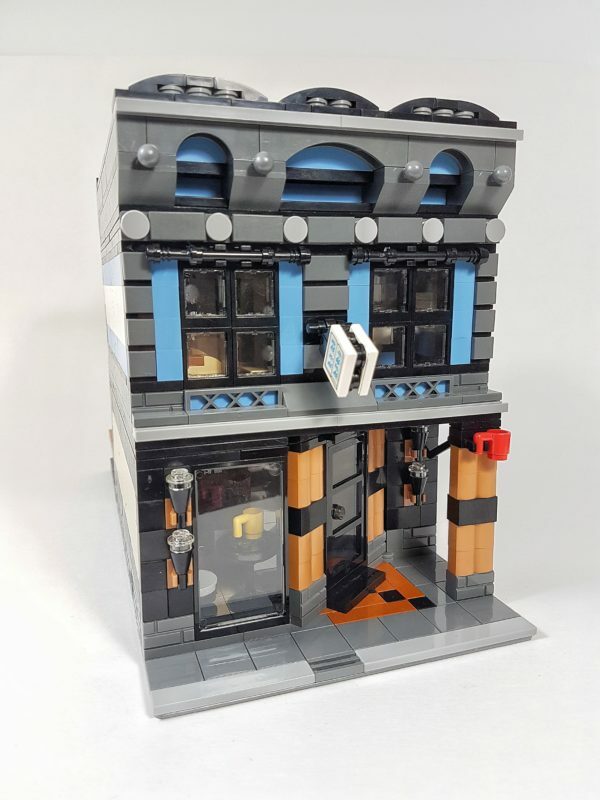 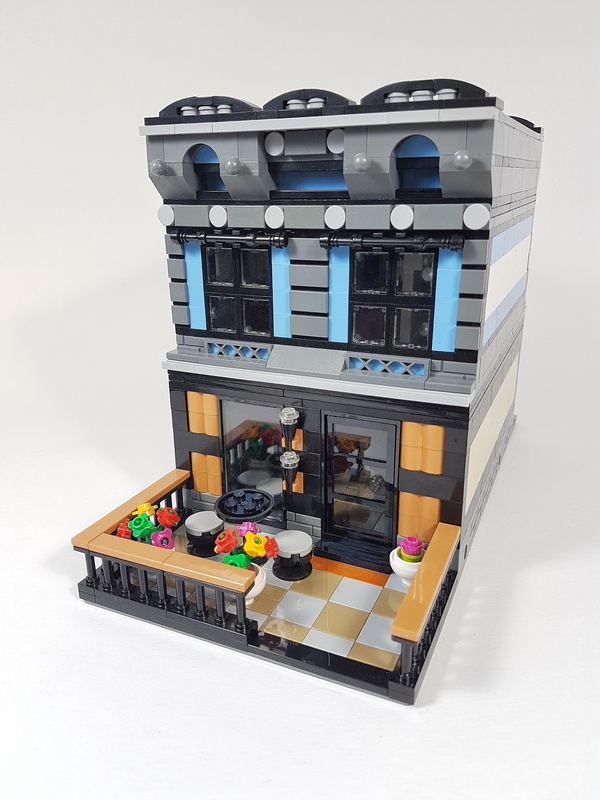 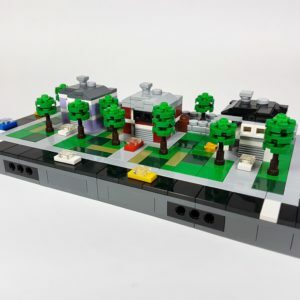 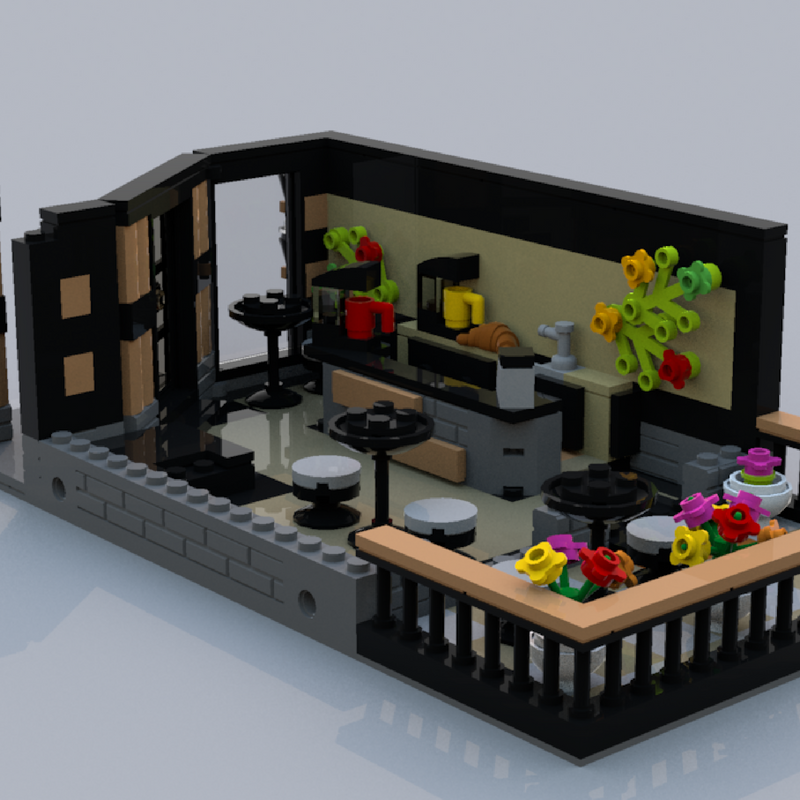 This modular-compatible bookstore and coffee shop uses unusual but complimentary colours to draw your attention without standing out over your other modular buildings. This build features a large open coffee shop with a slanted front entrance, and a quiet, cozy bookstore above. The interiors are packed full of appropriate detailing like the coffee makers, coffee tables, and bookshelves. 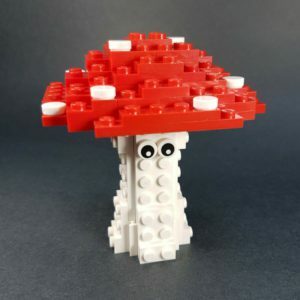 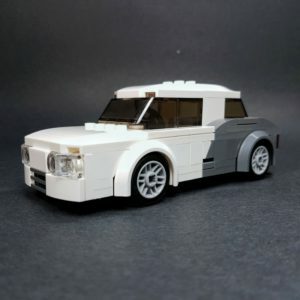 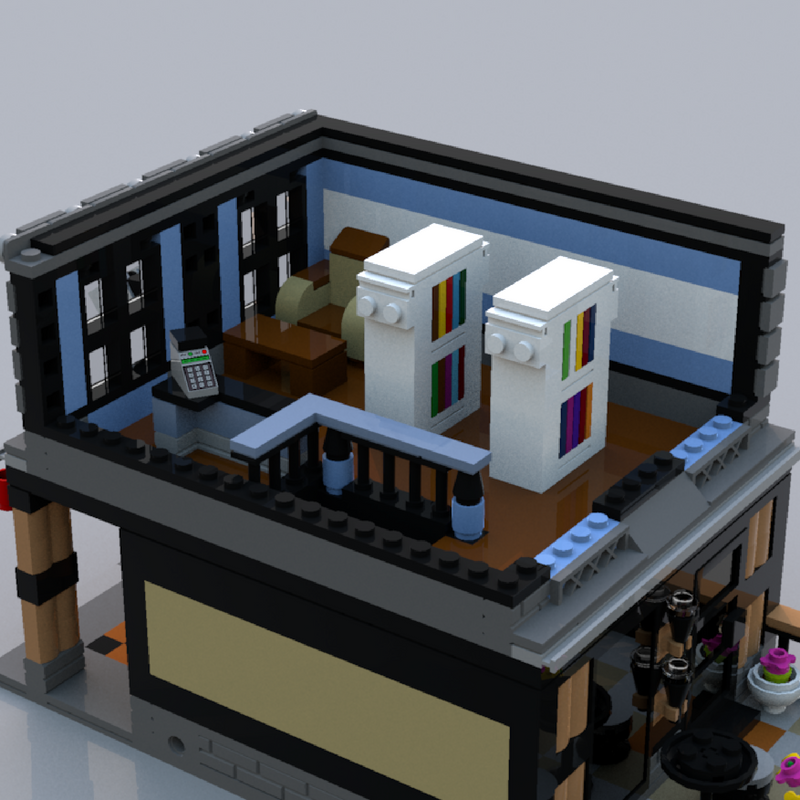 This build uses 2 sticker pieces not available in LDD. 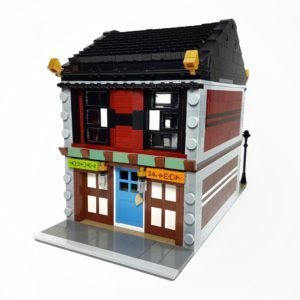 To create the bookstore sign at the front of the building, use part #3068pb54 x2.